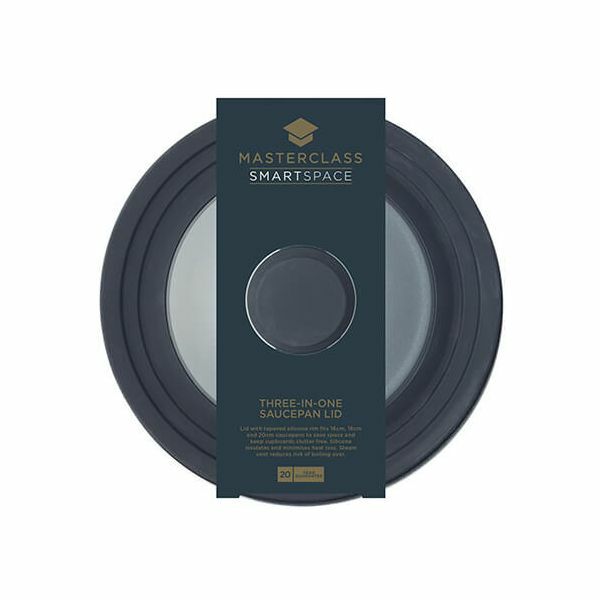 This MasterClass smart space saucepan lid reduces the number of saucepan lids needed in your cupboards. 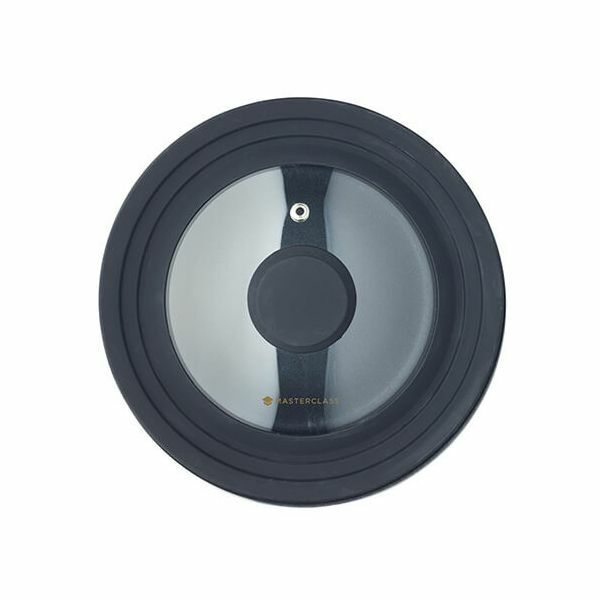 The tapered lid is designed to fit 16, 18 and 20cm saucepans with the silicone rim for a secure fit, preventing heat loss. The steam vent reduces the risk of the saucepan boiling over. 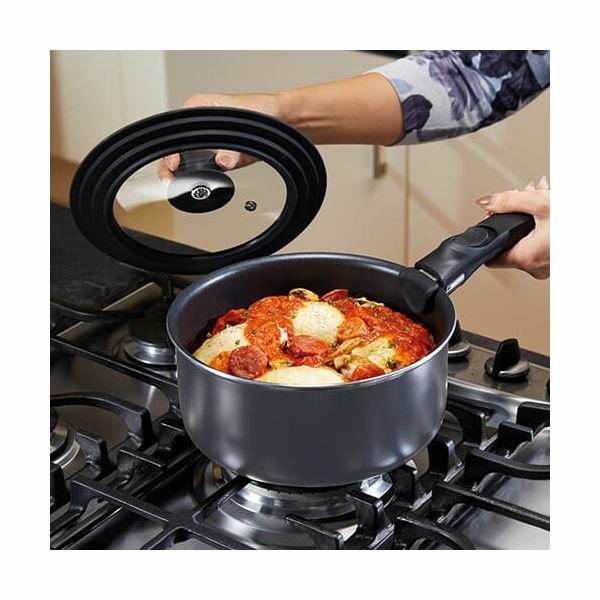 The smart space saucepan lid is dishwasher safe for easy and convenient cleaning.